Jewish organizations the world-over have expressed serious concerns with President Obama’s proposed nuclear agreement with Iran. Republicans and Democrats seem intent on killing the deal, and opposition to the President’s plan is widespread in the United States and Israel. Can the Iranian government be trusted? Are there moderates in Iran who really want change? We might attempt to answer these questions by reflecting on one local man’s miraculous escape from Iran nearly thirty years ago. His name is Azaria Khermanshahi. Readers might recognize him as the owner and proprietor of Eye Opener on Beverly Boulevard. What they might not know is how he risked his life to escape Iran in 1986 to come to the United States so he could live without persecution as a Torah-observant Jew. Azaria was born in Tehran in 1971. His family’s roots in Iran date to just after the Churban Habayit. Prior to the Iranian Revolution in 1978-79, over 250,000 Jews lived in the country, many tracing their roots to the same era. Azaria’s father was a successful bank manager, and many Jews enjoyed prosperous careers under the Shah. Azaria and his two siblings enjoyed a peaceful life until communist students and Islamic revolutionaries overthrew the Shah in 1979. Azaria noticed as a child how the revolution brought dramatic changes to daily life. Television captured images of dead bodies piling up in the streets as the Shah used the military to enforce martial law and crush the rebellion. As the rebellion grew in size, many wealthy Jews began leaving the country. Israeli secret agents used to visit the shuls of Tehran, warning the Jews that more trouble was coming. Sadly, thousands of Jews, mostly middle-class, viewed these warnings with skepticism. They simply did not want to believe that they would need to escape and start their lives over somewhere else. While the Shah was in power, Azaria attended an Otzar Hatorah school in Tehran. 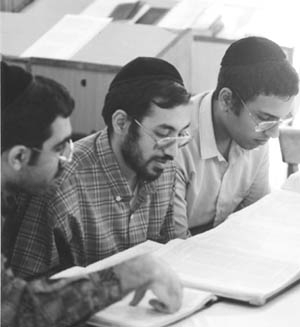 Otzar Hatorah was a yeshiva system financed by American Sephardic philanthropists that offered Torah chinuch to Iranian-Jewish schoolchildren. 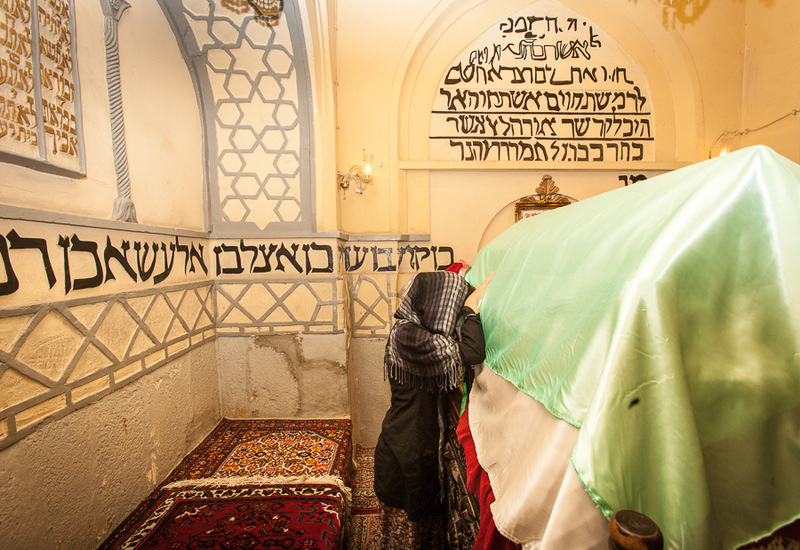 The network of schools still exists in other Sephardic countries, but after the Revolution, the new Islamic government seized control of all Otzar Hatorah schools in Iran. Jewish subjects were removed from the curricula. Every morning at the beginning of the school day, students were forced to chant “Death to America and Israel” in between reading verses from the Koran. 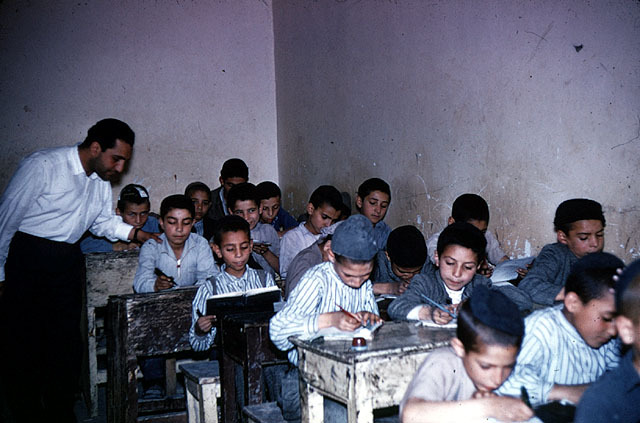 A class in Shiraz, 1966. Photo Ida Cowen. Beit Hatfutsot, the Visual Documentation Center. Despite these changes, Jews in Tehran secured permission from the government to teach Chumash and other subjects after hours. 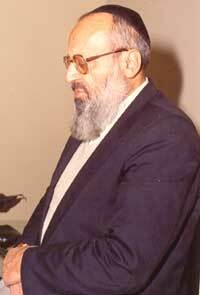 Many of the classes were taught by a melamed affectionately called “Mr.” Hakakian. Mr. Hakakian worked in conjunction with the Tsadik, Rabbi Uriel Davidi, to ensure Jewish children in Tehran continued their Torah learning. Rabbi Davidi later moved to Eretz Yisroel, where he passed away in 2006. His son, Rabbi Nissim Davidi, lives in Los Angeles and is a member of the Rabbinical Council of California. There were other ways the Jews of Tehran expressed their silent resistance to the Islamic government. The festival of Purim was more subdued because of the historical implications for the gentile Iranians, but this did not stop Azaria and others from traveling to Hamadan to daven at the kever of Mordechai and Esther. Azaria’s bar mitzvah in 1984 was a humble celebration in his parents’ home. Mr. Hakakian taught him how to pray with Tefillin, which had to be done privately, away from the watchful eye of Islamic government officials. Similarly, for an hour every afternoon, the Jews of Tehran secretly listened to Israeli radio to keep abreast of news developments and world affairs untainted by the Islamic government’s propaganda. As Azaria continued through high school, he and his parents realized that the future was bleak for Jews in Iran. The Ayatollah had promised free education to everyone, and naturally, this created an oversupply of students. To solve this problem, the government had to find ways to arbitrarily weed out university candidates. It did so by preventing Jews from pursuing higher education and professions. Government officials would conduct background checks on Jews reaching university age. Anyone who was Jewish was labeled a Zionist and prohibited from enrolling. Conscription in the Iranian Army was the only other alternative for young Jewish men like Azaria. At the time, Iran was engaged in a bloody war with Iraq. Azaria’s cousin was a soldier fighting in that war. Risking his life to fight for a country that discriminated against him was not something Azaria was prepared to do. Forced with these impossible options, Azaria and his family came up with a daring plan for him to escape Tehran and travel to America, where he could live freely as a Jew and pursue any career he wanted. Escaping Iran surreptitiously was the only viable option. Jews could not leave openly because the government confiscated their passports in most cases. Those Jews who were allowed to leave, for medical reasons or the like, were forced to return. If they did not, their relatives would be arrested, imprisoned, and tortured. Against this backdrop, Azaria’s parents paid smugglers to sneak him out of the country in January 1986. Before his escape, Azaria sought the blessing of Rabbi Davidi. The Rabbi placed one hand on Azaria’s head, and the other on the mezuzah. Rabbi Davidi closed his eyes, davened with kavanah, and began crying uncontrollably. He gave Azaria his bracha for a safe journey, and told him to stay strong in his commitment to Torah and Mitzvot. Azaria left his parents, his home, and his community, not knowing whether he would see them ever again. Azaria’s goal was to travel to the United States, where he had an uncle living in Los Angeles. The journey required Azaria and a friend to fly from Tehran to Zahedan, a city near the border with Pakistan. From Zahedan, the group would meet up with other Jewish escapees from across Iran, and drive across the rugged border into Pakistan. A network of smugglers ferried escapees along this route, with the goal of reaching Karachi, Pakistan. From there, escapees could obtain asylum from the United Nations. The journey to Karachi was supposed to take two days. Azaria arrived in Zahedan, where a pre-arranged taxi picked him up from the airport and took him to a safe house. When he arrived there, 11 other Jews were waiting to begin the arduous trek. Shortly afterwards, a pickup truck crashed into the wall of the house, and everyone was whisked into the bed of the truck to begin the escape. Less than an hour into the drive towards Pakistan, machine-gun bullets broke the silence of the moonless night. Azaria was sitting in the back of the truck as he saw and felt tracers whizzing by his head. He ducked and davened to Hashem as best as he could remember. The truck evaded the assault, which had been mounted by an Iranian Border Patrol Half-Track. Nobody was hurt, but the truck was damaged beyond repair. The smugglers pulled into a dry riverbed, and forced everyone out of the truck. They told Azaria and the others that they would be back the next day with a new truck to continue the journey out of Iran. Azaria and the group were left in the middle of nowhere with no food or water. Azaria had brought some water tablets and dried fruits, but the water tablets had gotten lost during the shootout with the Border Patrol. Members of the group began to panic, thinking that the smugglers would never return. Azaria davened to Hashem and hoped for the best. Thankfully, the smugglers did return with another truck to continue the escape later that evening. The bad news for the group was that the Iranian Border Patrol vamped up its efforts to apprehend them. The border was sealed. The group would have to drive close to the Pakinstani border, and then climb steep, rugged terrain to cross the border on foot. Once everyone reached the summit of a particular mountain, another group of smugglers, people of the Bahai persuasion, would lead them across the border into Pakistan. This would add more time to the trek. As Azaria and his group continued the exhausting journey, thirst began to overcome everyone. Along the mountainous path, little pools of rainwater had gathered among the rocks. Azaria used a cup to scoop water to drink—and his hand to sift out the frogs captured in his cup. Azaria neared the top of the summit, and once he reached it, he recited chapter 150 of Tehillim. Never before did he pray with such kavana as he did that day when saying “Halleluka B’Rekia Uzo.” Finally, Azaria and the group had crossed into Pakistan, where the next group of smugglers awaited with two trucks—one bulletproof, and one not. You can guess which one was reserved for the Jews. The trucks began driving in procession towards Karachi, but the group’s troubles were far from over. As the trucks began descending the mountain path, Pakistani soldiers opened fire, and soldiers with machine guns surrounded the trucks. One soldier threw a large bolder towards Azaria’s truck after the driver refused to turn around. In another miracle for the seemingly endless journey, the bolder narrowly missed Azaria’s head. Azaria was the only one who spoke English among the group, and he negotiated a $1,000 bribe. This persuaded the Pakistani soldiers to grant passage to both trucks. After passing that point and paying the bribe, the trucks continued on a more circuitous path towards Karachi. The group had to avoid additional checkpoints and greedy Pakinstani soldiers expecting bribe money. An eight-hour drive would instead become a 5-day journey. The caravan stopped in remote villages along the way, and Azaria made sure to only buy bread or yogurt. He kept in mind thoughts of his family, and the words of Rabbi Davidi who urged him to keep Torah and Mitzvot no matter what. Finally, as the group approached the Karachi city limits, a roadblock stood in the way. The truck driver drove right through the gates and oncoming bullets of Pakistani soldiers. Alas, Azaria had made it to Karachi. The goal was to secure exit visas as refugees from the United Nations in Karachi. Azaria and the others in his group were taken in by the Jewish community in Karachi, which had a small shul, sefer Torah, and even a shochet. The group was put up in a hotel, where Azaria was finally able to call his family, nine days after escaping Tehran. He and his parents cried, and Azaria learned that his father had fasted for three days in supplication to Hashem after not hearing from Azaria as planned after day two of the journey. Later, when Azaria’s father approached Rabbi Davidi to share the good news of Azaria’s arrival in Karachi, the Rabbi exclaimed that he had had a premonition that the group would encounter struggles along the way. That was why he davened so fervently and cried out to Hashem on Azaria’s behalf. The visa process took approximately four months. Azaria spent Pesach in Karachi. The small shul had some seforim which Azaria used for daily Torah study. Unfortunately, no shemura Matza was available, but the community shared one box of machine-made matzot just to fulfill the holiday obligation. Two weeks after Pesach, Azaria secured his exit visa. He was soon bound for Vienna, Austria. Thousands of Jews who had escaped from Iran over the years had stopped in Vienna before reaching their final destinations. Rabbi Michoel Pressburger, a noted Talmid Chacham in the city, took responsibility for these immigrants. He opened a yeshiva with a dormitory, and established a strong community infrastructure for these émigrés. Azaria enrolled in Rabbi Pressburger’s yeshiva, which had over 70 talmidim at the time. It would take another 11 months for him to secure a visa to the United States, and he spoke to his parents on the telephone once per week. Azaria spent almost a year in Vienna, finally arriving in Los Angeles in April 1987. B’Chasdei Hashem, he made it to America, but new challenges awaited. Azaria’s uncle was not an observant man, and he suggested that Azaria enroll at Beverly Hills High School. Many students who attended the school were Iranian, so his uncle thought he would fit in and make friends there. Nevertheless, Azaria kept in mind the words of Rabbi Davidi, and he convinced his uncle to enroll him in Yeshiva Gedolah instead. Azaria’s uncle was concerned about paying for Azaria’s yeshiva tuition, when public school was free. Through the kindness of Rabbi Eliezer Gross, the Rosh Yeshiva, Azaria was allowed to stay in the Yeshiva dormitory and enroll, tuition-free. It was a tremendous chesed for which Azaria is thankful to this day. The next year, the Heyman family took Azaria into their home, and to this day, he is affectionately considered part of their family. Dr. Heyman A’H and his wife Silvia were instrumental in making Azaria’s shidduch a few years later. After graduating Yeshiva Gedolah High School, Azaria attended Yeshiva University. Two years after he escaped Tehran, his mother and siblings escaped to Israel. His father later escaped Iran through Turkey, arriving in Israel in 1990. That was the same year Azaria saw his father again, and it was a tremendously emotional reunification. There was not a dry eye in attendance at Azaria’s wedding in 1993 to his wife Milkah, of Mexico City. He became a licensed optician in 1995, and has owned Eye Opener on Beverly Boulevard since 2000. What does Azaria think of America’s nuclear agreement with Iran? While not professing to be an expert in political discussion, having lived through anti-Semitism in Iran, he understands the Iranian psyche better than most. 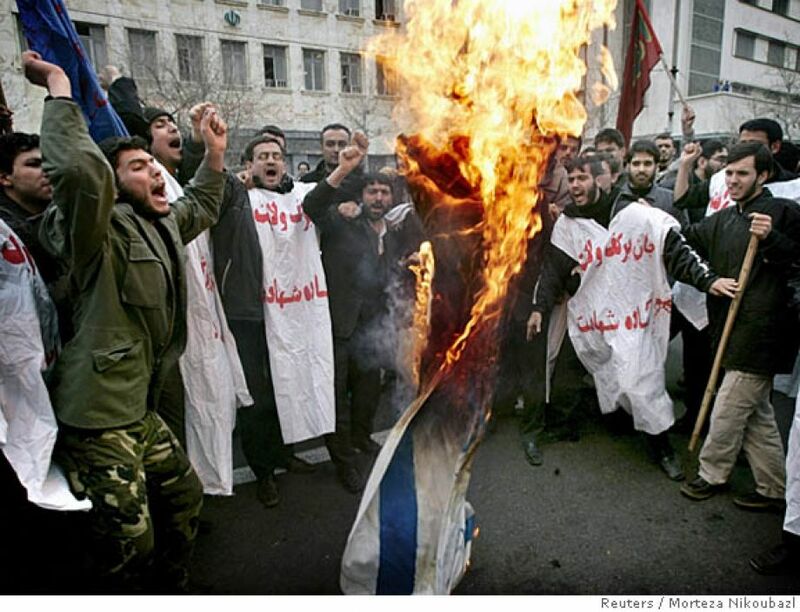 The hard-line Iranian government calls for the destruction of Israel every day. Anyone who does not follow the government’s rigid view of Islam is labeled an infidel and faces torture or death. Does Iran intend to comply with the agreement? Azaria says no. And he would know. Throughout his journey, Azaria saw the Yad Hashem guiding him on his path towards freedom. His miraculous journey enabled him to see the Hashgacha Pratis in everything, and it’s something he teaches his six children about every day. Whether Congress ratifies the current agreement with Iran or not, Yidden must remember that “Hakol B’ydei Shomayim.” Ultimately, our protection comes from the Ribbono Shel Olam, and no one else.